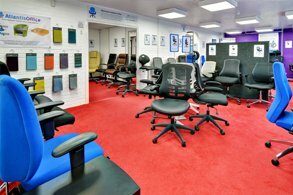 Atlantis Office offers a wide range of steel storage. We provide, steel cupboards, steel tambour units, steel filing cabinets, steel office storage, steel side filers and steel pedestals. We also offer a range of steel security filing cabinets, to provide you with added protection for valuable, documents and material. Our range of steel tambours is an ideal storage solution, increasing storage capacity and reducing the floor space required. All of our steel storage is available in varying sizes in a number of different colours. The majority of our steel storage is supplied fully assembled. The Multi Drawers offer an excellent storage capacity and are available in 3 drawer options (5 drawe.. The Bisley A4 Filer is ideal for both home and commercial office use. The Bisley A4 Filer is ideal f..  Ideal for both professional and home office usage our Metal Steel Lockable Mobile Pedestals are sec.. The Graviti Filing Cabinets are our steel, lockable filing cabinets suitable for use in h.. The Slimline Steel Pedestal is an ideal storage solution for both home and commercial offices. It is.. The Graviti Steel Lockers are available with a goose grey finish and are available in 1,2,4 and..
PRE-ASSEMBLED - JUST ADD CASTORS Three Drawer Mobile Steel Pedestal. Fully Loackable with 2.. The Thurrock Steel Filing Cabinets are suitable for use in both the home and commercial office. Avai..
Contract filing cabinets are available in 2, 3 or 4 Draw option with a choice of Grey, Coffee &.. This Contract Filing Filing Cabinet is from our range of high quality filing cabinets, they are avai.. The Thurrock Steel Pedestal is an ideal storage solution for both home and commercial offices. It is.. The Thurrock Steel Cupboard is an ideal storage solution for any style of office. It features lockab.. The Thurrock Narrow Steel Pedestal is an ideal storage solution for both home and commercial offices..
Contract filing cabinets are available in 2, 3 or 4 Draw option with a choice of Green, Silver, Ora..
Contract Double Door Steel Cupboards offer an economical solution to today’s office storage requirem.. The Bisley Contract Filing Cabinets offer a smooth, functional and stylish storage solution to any h.. The Bisley Steel Pedestal is ideal for both home and commercial office use, it features 3 fully lock.. The Bisley 420mm Wide Steel Pedestal is ideal for both home and commercial office use, it features 3..
Bisley Steel High Mobile Pedestal. Heavy duty pedestal 5 year guarantee. 3 Drawers ..
Bisley Steel Narrow Mobile Pedestal. Heavy duty pedestal 5 year guarantee. 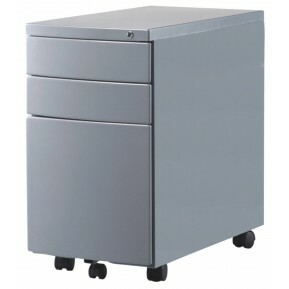 3 Drawer..
Bisley Steel Low Mobile Pedestal. Heavy duty pedestal 5 year guarantee. Steel sided drawe.. The Bisley Essentials Tambours are our lockable, high-quality storage units. They are available in 3.. The Bisley Executive Cupboard is our lockable, goose grey office storage solution suitable for use i.. The Next Day Contract Storage Low Tambour is our 1016mm high storage cupboard, it is designed to max.. The Lockable Steel Storage Tambours are ideal for use in commercial office spaces. They are delivere.. The Thurrock Steel Tambour is an ideal storage solution for any style of office. It features lockabl.. The Next Day Contract Storage High Tambour is our 1968mm high storage cupboard, it is designed to m.. The Graviti Steel Tambours are available in a choice of 2 colours (White and Goose Grey) and are ava.. The Bisley Lockable Office Tabmour is available in 3 height options and 3 colours (Beech/Silver, Bla.. The Bisley Storage Caddy is our versatile storage solution, it will fit under any desk and prov..